Is ‘Inclusion’ leading to Exclusion? – Do you speak Autism? Is ‘Inclusion’ leading to Exclusion? I have made an (apparently) controversial choice regarding James’ transition to school this September. Despite attempts by various professionals to dissuade me, I am determined that James should go to a special school rather than our local mainstream primary. The difficult thing about Autism is that two children with a diagnosis of ASD might have very different needs when it comes to education. However, approximately 70% of UK school age children with ASD do attend mainstream school, so I am seen to be going against the grain with my decision- especially since most children that attend a special school do not do so from their reception year. But it is not a choice I have made lightly; in fact, up until as recently as this week, I have agonised over it. Having said this, hearing recent stories in the press that children with Autism are being denied education due a high incidence of both formal and informal (i.e. illegal) exclusions, I do feel somewhat vindicated.. and moreover, convinced that I am making the right choice. Since autism is a spectrum disorder, meaning that individuals with ASD can vary wildly in terms of their linguistic and intellectual capability, I should explain where James is at the age of four. He is best described as ‘moderately’ autistic, but he is by no means unintelligent. This has been shown, for example, in the fact that he can count- extremely well. The last time I checked he was counting far beyond 100, and more impressively, he actually recognises the numbers in their written form. He can also name shapes, letters and colours, and his memory and spatial awareness are excellent. His speech and language therapist has made it clear to me that she believes James will be the most able child in the class I am intending for him to join. When I am asked if James is verbal, however, I find that difficult to answer. He didn’t really speak at all until a month or so after his brother was born, at nearly two and a half- and I’m convinced this was partly because he realised he had to compete for our attention. He started to label things: Car. House. Tree. Naturally, we were overjoyed and relieved. What was untypical about James’ speech development though was that he was not naming the objects to draw our attention to them; rather, it was for the fun of hearing the words come out of his mouth. He’d repeat the same word, over and over. After a while, we realised he wanted to hear us repeat the word back to him. Aged four, this game is still going strong. James has gone beyond individual words now, but he struggles to use language to actually communicate. What he can do is memorise large sections of dialogue from his favourite TV programmes- say, Mr Tumble- and parrot them word perfectly at random times of the day. Naturally, because I have been forced to endure each Mr Tumble episode approximately three thousand times, I instantly recognise where this ream of speech has originated from, but to those not in the know, his command of the English language can sound very advanced for a child of his age. It is only when you ask James a question or attempt to engage him in conversation that it becomes apparent that his speaking ability is closer to that of a child of two. James’ understanding of language is also very delayed, although it can be tricky to judge what he cannot understand and what he is merely ‘tuning out.’ But to give an indication, he has only recently reached the stage where he can understand a basic instruction like ‘shoes off’. And it has to be that simple. If I asked him ‘go upstairs and find your coat’- that’s too complex. Similarly, ‘did you have fun at Springboard today?’ will be met with a blank look. I’ve spoken before about James’- shall we say- ‘single minded’ approach to life. This is never more evident than when it comes to his attention span for adult-led activities. This is very dependent on how motivating the activity is for James, and if it isn’t, the chances of getting him to sit still for any period are slim. He can also become extremely distressed if things do not go quite the way he is expecting them to. For example, on a recent day trip out with nursery, the children were taken out of the building through a different door than usual. Cue a ‘meltdown’- i.e. screaming, crying and throwing himself around on the floor. Because he lacks the social imagination to predict what is going to happen next, even the immediate future is a frighteningly uncertain concept. His sense of security therefore relies on things happening in exactly the same sequence as they have before. Any divergence from this pulls the rug from under him and induces panic. As for his behaviour, I talked at length about James violent episodes in my last entry; suffice to say that his lack of danger awareness and empathy, combined with feeling regularly overwhelmed and frustrated in the presence of unfamiliar people can often lead to injurious consequences. With all of this in mind, I think it’s fair to say that James’ transition to school will not be an easy ride. Current thinking however, is that ‘inclusion’ is best for the child. By attending mainstream school, so I’m advised, James will mix with typical children and their social skills will ‘rub off’ on him (they haven’t done so far, but ok then). This is an idea that sounds great in theory, and I’m certainly not trying to suggest that all ASD children should be educated outside the mainstream system. But looking at research recently undertaken by Ambitious About Autism, the inclusion ideal just doesn’t seem to be working all that well. There is a worryingly high incidence of children with Autism being excluded from school, and of parents withdrawing their children from school to be home educated because their needs are simply not being met. And the distressing part for parents like me is that these problems are arising due to a lack of understanding of Autism and its implications for the classroom. How can parents be expected to have faith in ‘inclusion’ if this is the case? I’d love to believe that these were just extreme cases, but sadly my own experience bears witness to it. Many moons ago, I trained as a primary school teacher. (I didn’t pursue teaching because frankly, the sheer pressure and ridiculous hours the job involves, for a relatively low salary, made me run a mile.) Considering that autism affects 1 in every 100 children and our local school has an intake of nearly 100 pupils per year, chances are there will be at least one child with ASD in every year group. Yet I cannot recall any more than the briefest coverage of SEN during my course, let alone any specific training about Autism. How can this possibly be right? And more to the point, how can this ever lead to inclusion? When I went to look around the special school I am hoping to send James to, my gut instinct told me that it was the place he would be happiest. Each of the six children in the class, supported by the class teacher and two teaching assistants, followed a curriculum tailored around them, relevant to their strengths and interests. Displayed around the classroom were visual timetables indicating the order of events for that day; outside was a beautiful outside play area full or sensory toys. Additionally, there was a separate sensory room for quiet time. The staff were all accustomed to dealing with challenging behaviour, and as you’d expect, had an in-depth understanding of autism. The only place I could liken it to was James’ wonderful special needs pre-school, Springboard Opportunity Group, a charitable organisation that we are incredibly fortunate to have on our doorstep (and which I dread him having to leave). Interestingly as I looked around the school, I noticed that in the later years the class sizes got bigger. It was explained to me that not many children start off in special school, but transfer there at the point where they are no longer coping in mainstream. That to me speaks volumes. These children hadn’t transferred because things were going well. Things had had to hit rock bottom, as had, undoubtedly, their confidence, before they’d had to go through the upheaval of moving to a new school. Yes, by sending James to that school you could argue I am denying him the chance to mix with typically developing children, but this is not a perfect world. Perhaps if mainstream schools actually did more than pay lip service to the inclusion of ASD pupils; if all teachers were trained to cater to the needs of children with autism; if more schools offered ‘school within a school’ autism units to potentially offer the best of both worlds, then I might be willing to let James give mainstream school a try. But as it is, I have to weigh up the pros and cons, the pros of special school being that he’ll receive a relevant education designed completely around his needs, and crucially, he’ll be accepted as he is. More than anything do I want my son to have a sense that he belongs and not suffer the crushing confidence blow of realising that he is the ‘problem child’. So, controversy be damned. I’ve heard far too many parents dispairingly lamenting the unwillingness of mainstream schools to listen, to take a chance on my little boy’s happiness or his education… I’m sticking to my guns on this one. This entry was posted in Autism, Disability, Parenting, school, Uncategorized and tagged #ASD, #excluded, #inclusion, #parenting #autism #autisticspectrumdisorder #disability #behaviourmanagement #, #RuledOut, #SEN, children with autism. Bookmark the permalink. I wish I had the option of having done that for Dinky. You are doing the right thing. Everything you fear for James has happened to my daughter in mainstream and worse. I am now home educating until a place at the local special school becomes available in September. She has been in 2 schools and is only in year 1. The school have point blank refused to meet her needs. She has a little known ASD called PDA. My son spent nursery at an sen provision, and was sent to mainstream primary -inclusion. He learnt nothing educationally or socially. Socially all the autistic children seemed to find each other like magnets and so spent their time with other sen kids anyway, and behaviorally/educationally they just weren’t equipped to help him. He transferred to an sen school at 11 and is now doing well. MY son is in main stream school and I would say thing have gone well for him he sounds a lot like James can count to 100 recognise numbers and some words. I have to say in the social side of thing he had none in nursery but since primary he has made lots of friends and is starting to interact with some of them, they also know when it’s time to give him space. So I can honestly say it has been good for him, don’t get me wrong I still have to fight to make sure things are done correctly. And remind them that he has a problem with the changes they make, but all in all I beleve main stream has been good for my son. Inclusion rarely works in our experience. Mainstream school love the money which comes with a Statement but are under no legislation to show how, or on what it is used. SEN children are taken out of class and taught by well meaning TA’s – but need qualified teaching staff more than their peers in the main class. SEN in mainstream is a mess, and parents are left to fight the system to enable their child to achieve an education which is suitable. Our son has a genetic physical disability with profound dyslexia. He is now at an amazing Independant Special School, our LA lied and cheated their way through the process until we threatened Disability Discrimination along with everything else – we had proof. It’s outrageous how these children and families are treated – just to be educated. To all those on this journey please do not give up, get all the help you can, ask questions read the Code of Practise and good luck. I have never seen our son happier than he is now. I think the key so many people have is “my child is happy there.” Childhood shouldn’t be a time of misery because you don’t fit the mold and people are trying to make you do it. We put so much on little shoulders…I don’t know how else to say it. I had to drug my son to make him capable of attending grades K-8. When he had a serious reaction and it had to quit, we homeschooled and realized how difficult school must have been for him. Homeschool was a breeze because we took into account his strengths as well as his weaknesses. and has blossomed immensely.The scars are fading of his awful time in mainstream which is good, but occasionally asks why I didn’t do something about it sooner . . . . I am a part time teacher in an infant school. Its the school my neuro typical child attends. We sent her brother who has complex needs including ASD. I have seen from the inside how the school has done brilliantly to include and educate one statemented child and fail spectacularly with another. The difference between them is diagnosis and there fore support available to the school. One child is blind and the school is supported by sensory impaired team and the other is on the AS. The school is left to its self much more and with out the focused support is finding safe guarding an issue and any leaning is minimal. I am very glad I put my son into special school from Year R.
I too received a lot of pressure for my son wiht moderate autism to attend mainstream school . The educational psychologist said he would ‘cope.’ I did not want my son to cope but to thrive. I believe the local authority drill the EP’s to say this since it costs them so much more to send a child to a special school. My son has attending a special school from reception and without a doubt his social communication , anxiety and frustrations have improved no end as has his language. Where I feel a little disappointed in the school is that they concentrate so firmly on outings to parks, soft playcentres, shops, cafes etc to improve his ‘life skills and neglect any traditional school work like reading and writing. As a rsult, my son has failed to progress in these areas and is still on P or pre school levels despite being almost 9. I think if the school is purely for children with an ASD this may be less noticeable but my son’s school, despte saying it caters for children with ASD and moderate learning disabilities, seems to increasingly have an intake of children with more severe needs and personal care so it is very difficult for teachers to differentiate school work to the appropriate ability even with such a small class size. His school has been examined as Outstanding at Ofsted but I can’t help but sometimes think the outings are to give the teachers an easier ride sometimes. Perhaps this is cynical of me but the outings take up most days every day. On balance though, my son’s anxiety would have gone through the roof in a mainstream setting and his behaviour and self esteen would have been in tatters so we still believe we have made the right choice albeit a compromise as it turns out. Well done with your choice, My son is now 16 yrs old, we never had any doubt re mainstream, as he is very severe, however over the years I have seen many children put into mainstream and it is like putting a square peg into a round hole, it does not work, your son will excel at his new school, the staff are fantastic, he will have an IEP set up for him and him alone, he will be in a place that everyone understands his needs. Good luck. I too am controversial then. If it was an easy decision then everyone would be doing it. I agree with whole heartedly and have shared with all my loved ones. I’ve had both experiences! I had one boy start in a SEN school and stay there and thrive!!! 5 years later he can’t read much but he is happy, understood and we have had VERY few problems! I’ve also had one boy who has done 3 school placements in 3 years, mainstream don’t want him! He, and we, have Ben to hell and back! He is ‘too clever’ for SEN school, but not socially able to access Mainstream! As it stands he hasn’t picked up a writing instrument in 9 weeks!!!! He’s 7!!! He isn’t violent in school, he CAN be aggressive and tearful, but usually plenty of warning signs lead to that! The teacher and TA’s tried their best, but they don’t understand and don’t have the resources!! Nor are they allowed access to this due to ‘budgets’ the LEA was also forcing another school placement on us starting September, we were already stretched to breaking point so we formally withdrew him and have started Home education! I am not sure, even now, if this is THE answer, but it HAS to be better then the alternatives we have faced!!! I wish your boy all the luck! In my experience, mainstream schools have no idea how to treat any child that is a bit ‘different’. If you get the chance to send your child to a specialist school you should take it. You and your child will be a lot happier. I’ve done both ways, Ds1 started in a SEN and has stayed there, in almost 5 years we have encountered very few problems! Ds2 however……he has done 3 school placements in 3 years!!! He’s not violent at school, he can be aggressive, but if you watch him there ARE warning signs. He’s ‘too clever’ for SEN provision, but socially and sensory not able to cope with Mainstream. The last placement we had was the worst! The teachers and TA’s clearly loved him, but were unable to give him the help he needed due to ‘budget’ he was statemented for 22 hrs as well. He’s 7 and hasn’t picked up a pen/pencil or even quill for 9 weeks!!!! He can NOT cope and the LEA ‘official’ spent 20 minutes with him 2 years ago and decided he needed to be in a MS setting and that was that, they were also pushing for another placement from September. He hit rock bottom, I hit rock bottom, and my entire family was almost ripped apart, So we formally withdrew him from school and have started a home school journey, I don’t know if this is THE answer, but it’s better then the alternative! For SOME ASD kids, mainstream works well, for the majority, it is a disaster and many, many, MANY kids are left school traumatized as a result. Something needs to change before we are left with a nation of broken kids! My son attended mainstream primary school with varying success with 1-1 help throughout his time there until his last year , year 6 as they wanted to help make him independent for secondary mainstream school.. It didn’t work out so well but it helped me to try my hardest to get him into a Special Needs School about 16 miles from our home, ‘BEST DECISION’ I ever made as he really blossomed and grew there. He has left now and has managed to move on to mainstream college where he is well supported. Good luck with your decision Holly and wish your son all the best for a bright future. Oh my god – I actually welled up in tears reading your post!!! 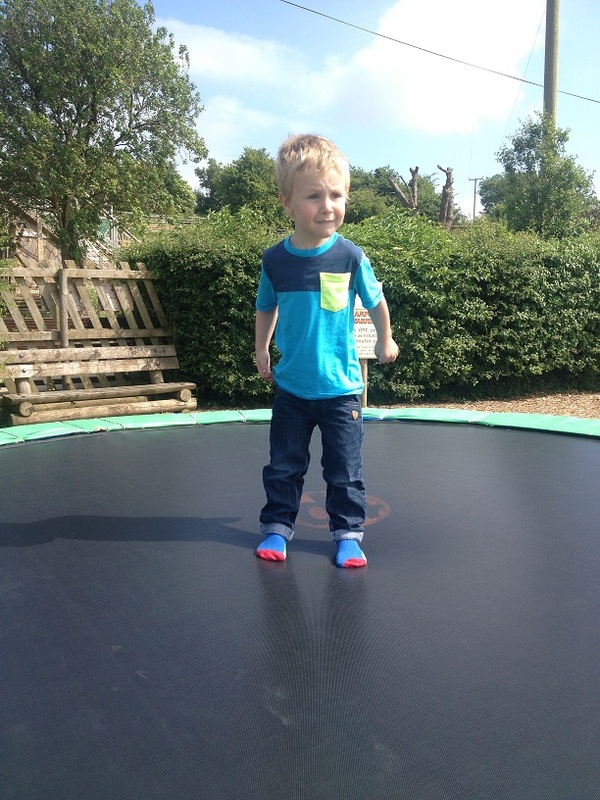 We are in a very similar situation – my little man is due to start school in September and I am fighting for him to have a place in special needs school. Many people – including the special needs school who I asked to come and do an assessment – agree he will struggle in mainstream. He’s not severe by any means but the constant repetition – Mister Maker from CBeebies in our case! – is mainly how he communicates too although he might answer simple, very factual questions. Exactly like you – to an outsider, his language and use of of it may look original, creative and advanced…but it’s nothing more than a repeat of what he’s heard. The same with elements of his play – he has a twin sister and has picked up certain elements but there is zero originality or imagination. He has no friends at nursery and doesn’t even acknowledge his peers. He tends to withdraw and just get lost in group situations/discussions/activities – if you watch him closely you will see he might be milling around but he’s in his own world. He has been repeatedly described as ‘solitary’ and ‘isolated’ by experts. Yet – local authority so-called experts are still trying to get me to send him to main-stream. I will home-school him before I put him in an environment which will distress him and could lead to phobias about going to school. He gets agitated about nursery as he doesn’t like the journey even though he likes nursery itself. School needs to be a positive experience for him and I am utterly convinced the different approaches for autistic and neurotypical children mean that in mainstream he will always be a square peg in a round hole. Our Son Stephen was very like your son James and Stephen is now in his first year in High School. Stephen attended a mainstream Primary school which was fantastic with him. We had regular meetings with the school and communication was the key. We knew that Stephen would not cope with mainstream high school, so we asked for a placement into a special unit dealing with ASD children. We did what we thought was right for Stephen and you have done what is right for your son James too. I wish you and your family all the best going forward. I hope James settles well and thrives in his environment. Or are u on fb ? You speak of inclusion in the ‘ideal world’ – for the overwhelming majority of parents with SEN children this world only exists in the minds and offices of LA’s and not in the mainstream education system. It’s not that we don’t want this, but this is not how it is. A child cannot learn from NT children whilst under the huge stresses and anxiety they often have at mainstream arising from lack of training and support. A child with sensory overload in a noisy large class cannot ‘desensitise’ themselves just because its always there. That child just shuts off and shuts down. That’s no life. What exactly do you call a ‘typical environment’ a child with additional needs isn’t ‘ill’ awaiting a cure. This is genetic and specialist help and an environment to support and understand this gives them the strategies to cope. This is about far more than academic education, it’s about independence brought about through confidence in all of their life skills. As a mainstream primary school teacher who has taught many children on the Autistic spectrum and who has a 16 year old niece with Asperger’s Syndrome, I think you have made the right decision! hey there , you sound a lovely mum i am myself a mum of a 2 year old. I have worked in the autistic spectrum as a learning support assistant for 13 years 3 of those with addhd. Your son expresses alot of potential.i work with children aged 11-19 the thing with more able teenagers on the spectrum they suffer alot of depression being within a special school when they see other streams of classes within the school less able than them. The able children do not always have excess to mainstream qualifications too but i hope this changes in the future. A special school is def the key but to solve this depression of differences. maybe extra after school activities with his obsessions. Another idea is to do a gcse privately in the subject he expresses most love for perhaps depends on his ability at gcse age. . We have seen children excell doing this and go to university as with love and support managing own behavour is key along with a bunch of life skills i.e washing machine hot meal. I think it depends on the school and the degrees of need of the pupils. It’s called a Spectrum of disorder because that’s exactly what it is. A parent has to work hard to choose the right school for the specific learning and life needs of their child. Our son is at an Independent Special School, as this is the right setting, not just due to it being Independent. The children here have ‘mainstream qualification potential’ and are streamed as such. Our son is profoundly dyslexic and has reduced fine and gross motor skills. He is in classes of 3 – 6 with a 1-1. I have found, in my experience that depression in children is exacerbated by anxiety and the feeling of hopelessness they get at being unsupported or misunderstood. If the school is the right one for your child this will have been anticipated and measures put in place to help. Our child had PTSD on top of all his other needs due to his experience in mainstream. I believe it’s this experience which many parents witness which gives them the strength to fight for the right education. As a teacher, and a carer of a boy with autism (now 22yrs) I wanted to applaud your decision and encourage you. 4yrs ago my job in mainstream ended and I began teaching an 8yr old boy on the spectrum who had been removed from mainstream school by his parents for home schooling. His school said that he was ‘unable to learn’. The issue actually was that they were unable to teach him. The sensory overload in the school was so strong that every day was a battle for him to survive. I began working with him (mornings only), and within 2 terms he had gone from ‘p’ levels (below level 1) to level 3 English, and level 2 Maths. By the end of a year his ‘isms’ (stimming) had all but stopped. He was making eye contact and communicating. His parents limited tv and computer time to 30mins of each a day, (such activities cause the child to retreat inwards), and they planned a social programme for their son to stop him from being isolated. He is now nearly 12yrs old and is attending a secondary school for boys with special needs, there are 7 in a class, he is doing well educationaly, the school comment on how communicative and involved he is. He will always be on the spectrum, but has moved along it. Take heart , always do what is right for your child. Fight for what you believe, and if it doesn’t work, change it. My pupils parents hired me (qualified teacher) to provide 3.5hrs tuition a day, and county funded it. You just have to stick to your guns. I have hit the same issue but for me it is secondary school for my daughter. She was diagnosed recently with moderate/mild Autism but is aged 11. I wanted to continue mainstream education for her as she had experienced that at primary level (her school have been absolutely marvellous) but her self confidence has decreased whilst anxiety has wildly increased as she has become very aware of the differences between herself and her peers. When we investigated mainstream school (and a great school it is) it became plain that she would be excluded almost the minute she walked through the door and that other pupils and parents would not be too forgiving of her inability to sit still, pay attention, etc etc. I now feel I’ve made the best decision for her to go to a special school especially as she will be one of the best academically – the combination of that knowledge, sharing time with peers with similar interests and the tailored and understanding teaching at the school will reverse her current troubles and help her to value herself and find a place for herself in this world. You have to do what is best for your child! Chris that’s amazing and an inspiration. Someone once told me their brain was like a full orchestra playing without a conductor. Each instrument was being played perfectly, but they weren’t able to perform without some guidance and with that they played wonderfully in their own special way. Reblogged this on CONCURS DE CITES. You are doing exactly the right thing. My son is articulate and quirky and I thought mainstream was the best place for him – and indeed I wouldn’t have had the choice of a special school place – now his mainstream placement has failed in P6/Y5 and he will be starting at an autism unit soon. I feel the mainstreaming has had an adverse effect upon his mental health and wish it would have been possible to do something sooner. It has been good to read this (I haven’t look at the comments though) but we have a son, aged 5 /12 who is doubly blessed with ADHD and ASD (Aspergers) and some of his behaviours sound very similar to what you describe. He is currently in year 1 at a mainstream school but due to his challenges is spending nearly all his time away from the class (of 30 kids) with his full time TA. The TA and school have been great at working with him to get him to start reading, doing maths and the beginnings of writing; however, we feel he is missing out on the social aspects of school – the working in and being part of groups which is something he struggles with. We’re thinking about putting him into a special school which looks like it would meet his needs extremely well, unfortunately the school is over subscribed (as are all the specialist units in our authority). We also have noticed/heard of a pattern where ASD kids will cope/survive in mainstream until they get to year 4 when suddenly the child and/or the school can’t cope any more and they are moved to specialist provision. I think if you have the option to get the right setting early then it will make all the difference. We probably would have gone earlier if we’d had the diagnosis and statement available earlier. Fantastic, I often think that a `special school’ is considered a last resort rather than a choice. I have had experience of children with ASD through working at a pre-school and studying early years at degree level. SEN is fully included in this degree as with similar degrees in early years. It seems to me after my experience in this area that as soon as children get to Primary school, the ideology of individual learning and most definitely the practical implications of this go out the window, not least of all because there are too many children in a class. Children are all different, whatever their `diagnosis’ and whether your child goes to a mainstream school or otherwise should be completely a choice, just as it would be a choice not to study English at university if your skills were in maths. I took my son out of school to home school him because he had minor absences and lost complete confidence. He will be attending secondary school in September. To me the spectrum is huge with every child in the world appearing along it somewhere. How we support our children to make the most of their learning ability should be our choice. I have learned through experience, trial and error, self doubt and pure bloody mindedness that good parents like yourself who want the best for their children will always have the right instincts, go with them, you know your child better than anyone. Holly – well done for sharing your journey with James. I applaud the way you approached this with balanced examination; you clearly identified most of the limitations still prevalent across mainstream settings, including the ‘lip service’ approach of some to inclusion, but above all I am pleased you trusted your instinct on where James would be happiest. Such parental instinct is often quashed by overbearing professionals who think they know best what your child needs. From a professional ‘insider’ perspective I have a great deal I could share, but do not wish to ‘hog your blog’, so an expansion of this personal view can be found on my news page http://www.elementsne.co.uk/news/ entitled When ‘Inclusion’ becomes ‘Exclusion’. I’ve seen the struggles families have with authorities, firstly when I worked closely with many wonderful families ‘coping with’ and sometimes ‘thriving with’ autism in the late 90s. I ran an outreach service for autism and severely challenging behaviour, for those deemed unmanageable in any school setting. Like any good special needs practitioner, I respond to the functioning and emotional state of an individual, not labels or assumed limitations – primarily how happy and successful the individual is or could be. I look for solutions, and I support families totally – I once taught a literacy lesson in the back of a car to allow an isolated mum to get out for an hour’s ‘social therapy’. After 30 years teaching/managing in special schools, and managing SEN assessment and provision for one authority, I am now an independent consultant/trainer. I’ve seen the best and the worst of all systems purporting to provide for and support the needs of children with SEN, and I still maintain that INCLUSION IS NOT A PROCESS BUT A STATE OF MIND. A child will ‘thrive’ in the place he/she really feels happiest, best supported and most valued – true ‘inclusion’. No parent wants their child to just ‘cope’. ‘Polarised views’, ‘generalisations’ and ‘absolutes’ are unhelpful, sometimes harmful states of mind. The educationalists who advocate ‘mainstream for all’ speaking out of ignorance; and such ignorance is definitely present in many ‘corridors of power’! An unashamed advocate of special schools and their high quality staff, I would nevertheless caution that special schools do not offer a solution for every child. However, this may help others who face this challenge unaided . . . . . .
2 Even when a child does fail to thrive in the mainstream, parents often agonise for years over the decision to change, their concerns driven mainly by polarised arguments, by ‘stigma’, and by lack of informed and balanced support. Yet when the decision is finally made, the sense of relief is almost unanimous, as the child settles quickly and happily into the new environment, feeling truly ‘included’. 3 Children are remarkably perceptive about who truly has their best interests at heart; they can see past the mask of ‘acceptance’, and are unmoved by rhetoric. (Though, like us, they can be deceived.) Their responses typically show how they ‘feel’ about an environment, so please do request trial sessions in a new environment, where your child should be warmly welcomed. 4 Our system confers a ‘right’ to be educated in the mainstream without being able to provide all the circumstances to make it ‘right’ for all to do so. I’ve seen many good primary schools brought to their knees by their valiant efforts to accommodate complex needs with inadequate resourcing and diminishing LA support, their dedicated staff demoralised by feelings of helplessness, and the child definitely not ‘thriving’. In an ideal world of fully resourced and well supported schools of varying sizes and structure, staffed by people whose focus is ‘to see every child blossom’ (as Lizzie put it), there would be far greater choice for children and parents. Many children with special needs do ‘cope’ in the mainstream, but far fewer actually ‘thrive’, and those with more complex needs undoubtedly thrive more in specialist settings. 5 Don’t be put off by stigma or fallacious arguments; measure the presentation of any setting by close examination of what’s on offer, how your child operates, and how responsive the staff are to their emotional needs – subject all aspects to balanced scrutiny. 1	How skilled, open and welcoming are the staff here? 3	Will my child ‘thrive here’ – be happy and successful, not just ‘cope’? school looks likely eventually, weigh the pros/cons of the timing of such a move, sooner or later. I like Chris’ beautifully concise summary: “All that your child needs is to know that they are loved for them, as they are.” Well said Chris! My son sounds very much like yours but they’ve decided that he’s NOT on the spectrum. Therefore we had no choice but to send him to mainstream school as the communication and interaction unit (which the ed psych said was the best place for him) would not have let him in. Places are competitive (only 10 for the whole school ages 4-11). You do what is right for your child – as you say they are all different. My son,11, has finally got his diagnosis after two years. He goes to mainstream school at Mary Elton School in Clevedon where he has flourished since he got recognition of his special needs. After a terrible first year (he was made to go into class 10 minutes earlier than his friends) with anxiety and , I suspect, depression he finally got a teacher who didn’t try to squeeze this obviously square peg into a round hole. After assessments were made that he needed ‘adult supervision for ALL tasks’ this was given by the school without any extra funding for two years. He is now happy at school and ,although he does notice that other children have better friendships, he has a peer group he will know when he leaves school and enters the community. This has been our prime motivation rather than any qualifications or certificates he has. I think you have made the right decision. My son started at a special school (SN) last September (in reception) and my husband and I are in no doubt that we made the right choice for him. We looked into mainstream options and a primary with a unit for children with ASD and Global Developmental Delay, however fell in love with the SN school and knew he would fit right in. If you can get your child into a SN school, go for it, as my understanding is it’s a lot easier to move a child into mainstream from SN rather than the other way around (if you or they feel that SN is not working out/they are not happy etc). My sons class has 8 children and a minimum of 4 adults (1 teacher and 3 TA’s) and 7 of the children have diagnosis’ of ASD to varying degrees. The activities are tailor made to your child needs and abilities and the ways in which the children are taught are innovative and again are applied in a way the children understand. From a personal point a view, I would rather see my son happy in a school setting where he is included in all activities, has a voice and where he can thrive, rather than in a setting with potentially little or unsubstantial support, being excluded from activities and where he would be at risk from bullies and taken advantage of. Best of luck with it all – stick with your guns and I hope you get the outcome you hope for. I just found your site and I’d like to say that I think you are doing the right thing for your son. My daughter had many similarities to your son when she was younger and was diagnosed at three and a half and attended a nursery with specialist autism provision. Following nursery we were really pushed into mainstream school and I think this has harmed her academically, socially and emotionally. The learning environment has been too distracting for her and there has been very little pay off in terms of increased social skills. Up until very recently she was really content to play in parallel with the rest of the children. It has only been with the onset of puberty that her own motivation has clicked and she now wants to be more sociable. Unfortunately this has happened at a time when the rest of class have become less accepting. as often happens towards the end of primary, and my daughter is incredibly unhappy and isolated. Her only real friend at school was a boy with a global learning delay and he has now left for a special needs school. My daughter has become so unhappy at school that it is affecting her mental health, and we have been fighting very hard to make sure that she is supported within the shelter of an additional learning needs unit at secondary school after the summer. One of the perennial problems we have had with mainstream school has been the fact that it wastes her energy and valuable learning time leaving her so fried by the time she gets home that any learning and interventions at home are less effective. I really hope more and more parents who have children who have been through the mainstream system and who have not really flourished in it speak up and inform other parents of the downsides. I think many parents are drawn to mainstream, understandably, as seeming inherently more hopeful and positive than specialist education and that it is sold to them in this way. Mainstreaming though, is an ideologically driven rather than evidence based approach to educating children with autism , and it doesn’t help in the long term for some young people. My daughter is always going to be a noticeably autistic person – but she could be an autistic person who has been well educated in a setting that lets her achieve her maximum academic potential and gives her the security and intense social interventions that will help her mental health and allow her to negotiate the wider world as independently and safely as possible when she reaches adulthood. Really enjoyed reading this and agreed with everything that was said. My own daughter was diagnosed late at 13 although we and her primary school always knew something wasn’t right, she learnt to mask the signs and try to fit in. I’m now battling to get her into an appropriate special school because all though her primary did a brilliant job of inclusion, her current secondary school is a classic example of having little knowledge of ASD and anxiety issues. The school can not change its size, noise or crowds so that my daughter can attend, proving that inclusion only works in very special circumstances. By the time I’ve fought the LA, my daughter will have lost over a year of her education and even then, the county has very little provision of appropriate facilities within a reasonable travelling distance. I’m fighting a losing battle. What happened to schools for delicate children? She’d thrive in the right environment given the chance.